First of all thankyou for visting our site. I’m sure you will find everything that you need for your upcoming move. We offer a packing services, with boxes and wrapping of all furniture, delicate items, and glasses. Our professional packers can help you organize your kitchen glasses, cups, and plates in to boxes and have them ready for you on moving day. We are professional at packing all house hold good items. Painting, pictures frames, T.Vs, all dresser, bed room furniture your name it we can properly pack it for you! We have a wide variety of packing materials. Boxes, bubble wrap, t.v boxes, wrapping blankets, tapes, tie down straps. We have a great relationship with a Main storage unit that we can high recommend if you are in need of storage. Let us do the assembling and disassembling for you. With our years of experience we have done it all and seen it. Washers, dryers, refrigerator, treadmills, babygrand piano, and more. It not only our prices which separates us from other moving companys it’s the Quality. 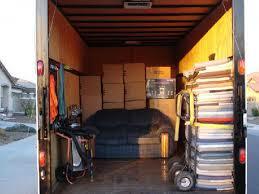 Same day MOVES are available call us at 703-231-5238 and we will work with you to accommodate you scheduling needs. Leave a voice mail if you do not get through the line, our response time is great. No longer than 15mins. We do TRAVEL! We can load up your moving truck and unload it at the destination you request. If you need a moving truck we have all sizes moving trucks available 10foot, 15foot, 20foot, 24foot, and 26foot. For your smaller moves we also have pickup ttrucks available. If our customers do not feel comfortable with driving his or her own Uhaul, truck, or any other vehicle we may transport or drive the vehicle for them. Our customers have the option of catching a plan or drive their own personal vehicle to the desired location. DC to NYC, DC to PA, DC to North Carolina, VA to Texas, VA to Arizona, VA to Los Angeles, and VA to Florida.